Thanks to /u/Kilrathi for this sample! I don’t like beer… much. Before I was married (5 years ago), we needed to pick a beer. And being the proper young man that I was, I wanted to support smaller, independent breweries. So I ran 3 beer tastings. One for my Best Man and I, one for some friends (which ended in me falling over, near naked, and no longer talking to some co-workers), and finally one at a bar. After that I found out that I like some Porters and Stouts. SOME PORTERS AND STOUTS. So what does that have to do with this? 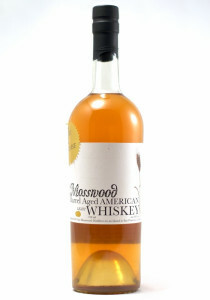 Probably because Mosswood Barrel Aged American Whiskey – California Sour Ale Barrel is aged in ex-Drake’s Golden Sour Ale barrels. However I assume you knew that from the name of this post. Granted you could, in fact, be an idiot.